I will be going to London a week tomorrow, eek!! Throughout the 4 years of blogging,I have wanted to go to this!! Is this your first blogging conference? : Yes!! Are you attending both days? : I think so, is the tickets for both day? If so yes! What are you wearing? : Pink lacy dress ( as top picture) and if walking a long way with Converse for one day. Navy polka dress and yellow tights for day 2. 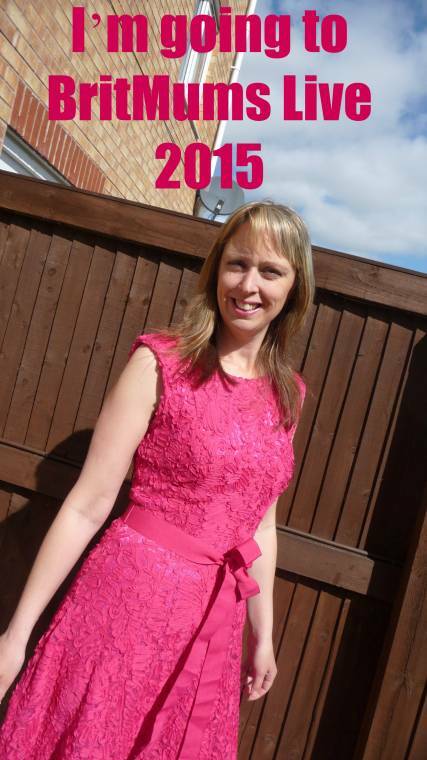 What do you hope to gain from BritMums Live 2015? : With 4 years of blogging for the love of it, I would like to learn how to make money from my blog. So I can become self employed and work from home. Come say hi if you see me! Bananagrams Challenge And Chance To Win…. How exciting! Congratulations!! Love that pink dress!! Oh, it sounds like you will have so much fun. And I love those yellow tights with that dress. You look so pretty, I love the pink dress you look stunning! Congratulations!! !